Essential Safe Room Supplies: Make Sure You Have Them All! If your home doesn’t have a safe room, this is something that you should certainly think about creating if you want to do your best in order to keep you and your family members safe. Although it might seem like a no-brainer, it is essential for you to have a sturdy door with a good lock for your safe room. Otherwise, there is really no point in shutting yourself and your family up in your safe room. There are a lot of different kind of doors out there that are great for this purpose, and you shouldn’t have a difficult time finding one in your price range. For best results, look for a sturdily constructed, heavy door. 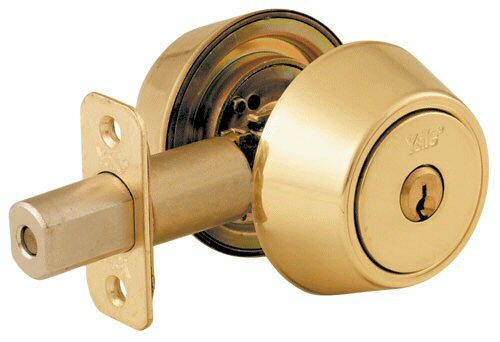 Along with choosing the right door for your safe room, you will also need to invest in a lock that will keep the door securely shut. Make sure that you install the door so that it locks from the inside, and make sure the lock doesn’t have any screws that can be unscrewed from the outside. Also, consider installing a deadbolt that is safe, secure and perhaps a little more expensive than some of the other options that are available; if you don’t purchase the right lock, a crafty thief could use a credit card, knife or other item to break the lock. Not only should you consider installing a deadbolt on your safe room, but you should also consider adding chain locks. If you get the right type of chain lock, an individual will have a difficult time opening the door to your safe room, even if he or she is able to pick your deadbolt in order to get it open. In order to call for help, you will need a way to get in contact with others while you are in your safe room. Since you probably won’t have the time to think about grabbing your cell phone or landline phone in the event of an emergency that sends you into your safe room, you should have a phone in place in the room at all times. One option is to install a landline phone that is connected to the rest of your home, but you should do so with caution. Thieves often think to cut the phone line when they break into homes, and you could find yourself stuck with no way to call for help if this occurs. Therefore, you might want to consider installing a separate phone line that is secure. This also helps prevent the possibility of a thief picking up another phone in your house and hearing you talk to the authorities from your safe room. A cellular phone is also wonderful for this purpose. This doesn’t mean that you have to add another phone to your plan in order to keep a phone in your safe room, however. Instead, you can pick up a prepaid phone that allows you to pay by the minute instead of monthly. By doing so, you can keep enough minutes on your prepaid phone that it will be available for you to use in emergencies. Even an old cell phone that has been disconnected will allow you to contact emergency numbers, such as 911, so you can keep an old phone that isn’t attached to your plan if you want to. Although you won’t be able to call friends or neighbors for help with the phone, you can always use it to call the authorities in the event that someone invades your home. Keeping a CB radio in your safe room is another good idea. Not only can you use the CB radio in the event that your home is invaded, but these are also good things to keep on hand in the event of a storm or other natural disaster as well. For best results, it is usually a good idea to have both a CB radio and some form of telephone, with a cell phone usually being your best option. Make sure the cell phone has service in the safe room, however; nothing will be more frustrating or upsetting than to know that you have a phone that you can use to call for help but not being able to use it due to a bad signal. Since you never know what could happen or what could send you into your safe room, it is important to keep a few flashlights on hand in case of emergencies. Make sure that you keep good batteries in all of these flashlights, and keep extra batteries for each of them in the safe room. Make sure that you remember to bring the batteries into the safe room; you don’t want to be stuck in the room with no light and no way to get to a drawer in the kitchen or elsewhere in the home. Along with having flashlights, it may also be a good idea to keep candles and lanterns on hand. Make sure to keep matches or lighters in the room in case you need to use your candles. You never know how long you might have to be in your safe room, so you should make certain that you and your family will be relatively comfortable in the room for an extended period of time in the event that something happens. It is a good idea to keep plenty of blankets, towels and pillows in the room; make sure to keep enough for your entire family on hand, and consider adding a few extras in case you need them. Although you might not be thinking about entertainment in the event that someone invades your home, it is important to keep a few things on hand to keep you and your family entertained in the event that you have to hole up in your safe room for an extended period of time; this will be especially helpful in the event that there is a natural disaster that sends you to the room. There are a few things that you can keep on hand for this purpose. If you have children, having children’s books, coloring books, crayons and other similar items on hand can be a lifesaver in the event that you and your family have to stay in your safe room for any period of time; not only will these things help keep your children quiet, but it will also help you keep their minds off of what is going on around them in the event that some sort of disaster or incident happens. Board games and card games can also be great for the entire family, and you might want to stash a novel or two in the room in case you need to read them while you are in the safe room. You never know what type of event could send you and your family to your safe room, so it is important for you to be prepared for anything. 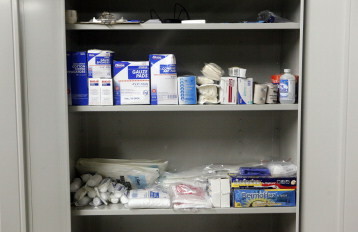 This means that you should keep first aid in mind when preparing your safe room. Bandaids, bandages, rubbing alcohol, peroxide, burn cream and other items should be kept on hand at all times, and you might want to consider purchasing a first aid kit. Keeping a good supply of clean water in your safe room can help you in the event of a tornado or other natural disaster, and it is cheap and easy to do. You can purchase gallons of bottled water instead of buying individually-sized, more expensive water bottles; consider keeping plastic cups in the room for drinking. To save money and the environment, you can also reuse gallon containers of milk or water by refilling them with tap water. Although you probably don’t plan on spending a lot of time in your safe room, you have to realize that circumstances might occur where you and your family will have to be in there for an extended period of time. Therefore, you should consider keeping plenty of personal hygiene items in there, such as toothbrushes for the entire family, toothpaste, deodorant and other related items. Baby wipes can also be used to take a quick “bath” if you need one and can also be used for other purposes as well. It is essential to think about what you and your family will eat while you are in your safe room. Fortunately, there are plenty of foods on the market that do well for these purposes. You can purchase dried food from camping supply stores, or you can look in your favorite grocery store for nonperishable items that will help keep your family satisfied while you are in your safe room. 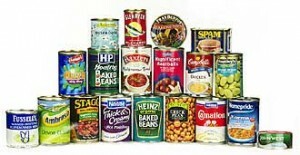 Canned meat, canned vegetables and fruits, cans or pouches of tuna, chicken, beef and other meats, crackers and other nonperishable foods can be perfect for this purpose. For best results, consider stocking up on a few of your family’s favorite items for a bit of comfort during a tragic time. 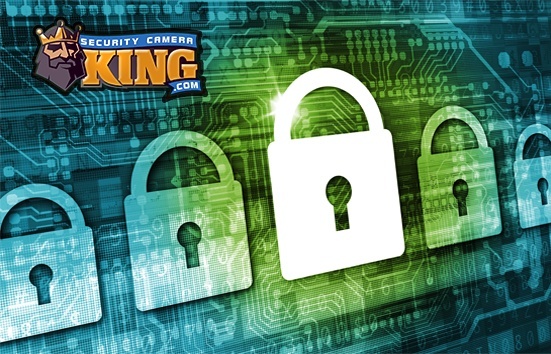 Having monitors in your safe room that display surveillance footage from security cameras that are in your home and on the ext4erior of your property can help you stay tuned-in to what is going on. It is always a good idea to have surveillance cameras in place, and using them correctly can help keep you safe, deter criminals from committing crimes in the first place and provide you with the solid video evidence that you need in order to contact law enforcement officials if someone breaks into your home. Many people are unsure of where to keep their monitors, but your safe room would be the perfect location for surveillance camera monitors or a computer that is used for this purpose. Installing a burglar alarm is also a good idea. Not only can you pay for monitoring from a good security company so that the local authorities will be contacted if someone opens a door or window in your home, but you can even install “panic buttons” in various areas of your home that can be pressed in order to alert your security company that something is amiss. If this is an option for you, you should consider installing a panic button in your safe room; this will allow you to call for help instantly. Camping supply stores often sell basic, cheap portable toilets that can be used for emergency purposes. It is never a bad idea to invest in one of these in case you need it. Looking for ways to reinforce the walls and door of your safe room can help keep the room safer and more secure. Not only is this good for keeping criminals out of the room, but it can also help keep you safe in the event of a tornado, hurricane or other type of natural disaster. If you feel comfortable around guns, you should consider taking weaponry, gun safety and shooting classes so that you can safely keep and operate a gun. Having a gun in your safe room can provide you with the weapon that you need in order to protect yourself. However, make sure that the gun is locked up and kept away from children and others in your home. Even if you don’t want to keep a gun in your home, there are other weapons that you can keep in your safe room, such as a taser or pepper spray. Even these more minor weapons can be used to protect yourself in the event of an emergency. Let us help you set up your safe room by contacting us today.